Fair & Lovely is a skin-lightening cream established by Unilever in 1975, in India, though it has since spread across the world along with similar products. While Unilever claims Fair & Lovely is physically harmless, its existence reinforces the idea that lighter (and whiter) skin is more beautiful, and therefore encourages the “superiority” of whiteness. Set up to challenge the white beauty standards and colourism engendered by these products, #UNFAIRANDLOVELY is a social media campaign which celebrates dark-skinned people of colour. The hashtag was created by Pax Jones, and sisters, Mirusha and Yanusha Yogarajah, a group of black and South Asian women, respectively, who study at the University of Texas. Although, ironically, previous articles have failed to identify Pax’s integral role in starting the hashtag, erasing her and the purpose of the hashtag for all dark-skinned people of colour, #UNFAIRANDLOVELY has been well-received across the internet. The idea for the project came from Pax’s personal experiences of colourism, which she said were “similar to the way … Mirusha dealt with colourism”. Despite being black, while Mirusha’s South Asian, it was this idea of a transnational experience, which could “permeate various communities around the world”, which drew her to the project and led her to ask Mirusha and Yanusha to get involved. As a black woman, “the way colourism impacts [me] comes out in different ways”, she says, such as through comments on hair texture and bone structure. “I’ve had family members tell me ‘your mom didn’t squeeze your nose enough when you were a baby and that’s why it’s so wide’.” Even so, Pax has admitted she’s “dark enough to be considered dark” but “light enough to not be considered too dark”, and therefore faces less difficulty than others. By contrast, Mirusha identified more obvious experiences of colourism, from being told not to go out in the sun while she was growing up to how, “in a lot of heteronormative woman/man relationships, the woman tends to be lighter”, such as in her family. “It’s definitely just a topic that’s been there my entire life,” she said. Mirusha explained: “Even though Fair & Lovely is an Indian product, a lot of people within the black community have had it purchased for them or purchased it themselves.” Thus, despite a variety of products aimed at different communities, black and brown communities’ fundamental experience of colourism are not so different. However, before #UNFAIRANDLOVELY became widely circulated on social media, the concept had its humble beginnings as a photoshoot, in December 2015. 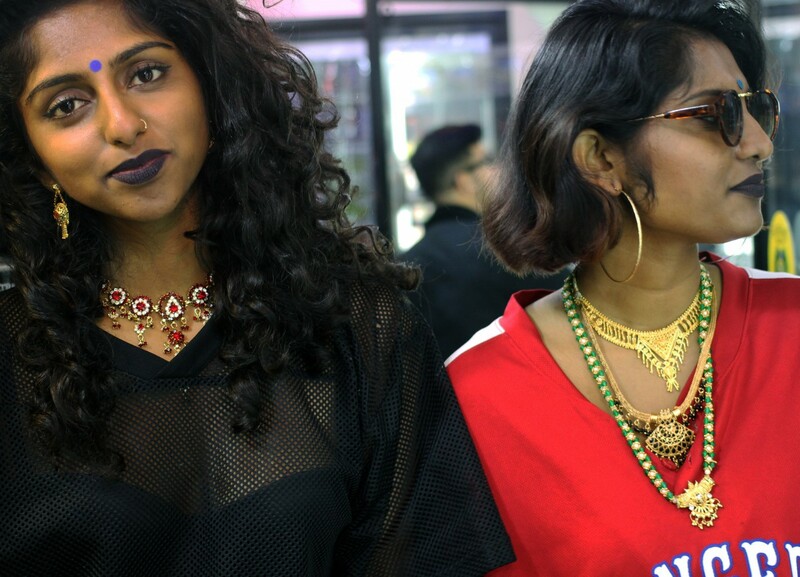 The project culminated in a set of photos of Mirusha and Yanusha, dressed up in South Asian and Western clothes, at a Hindu temple and a 7-Eleven (a chain of convenience stores in America). 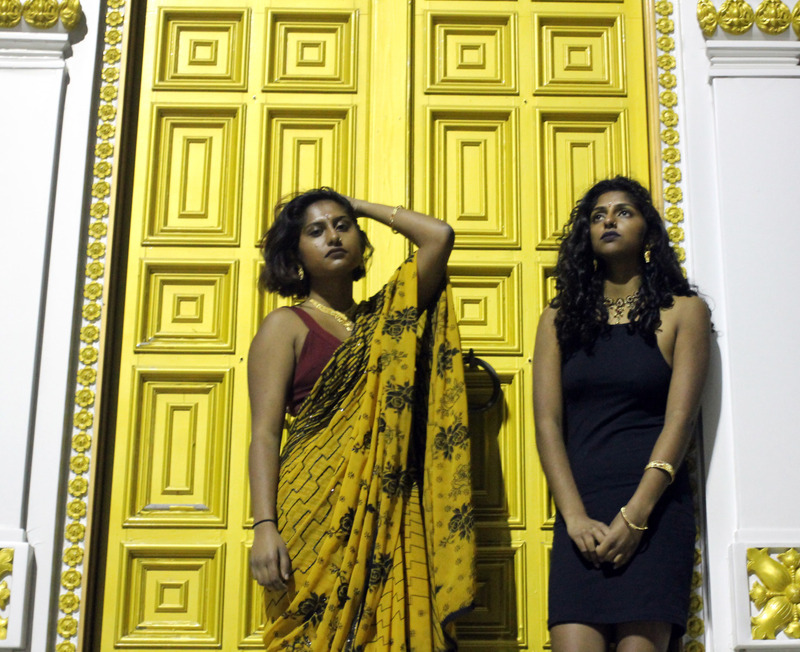 For Mirusha, the point of the shoot was to embrace the “hyphenated identity” of herself and her sister, Yanusha, as second-generation, dark-skinned South Asian, Tamil Americans. What was a quirky and, clearly, fun photoshoot is also significant in celebrating their experiences as dark-skinned members of the diaspora, who are frequently ignored or erased. From the 80 or 90,000 notes the first photos received on Pax’s Tumblr, it is clear that this initial message resonated. And, soon after, the hashtag was born, setting off quickly almost by accident. 26 February became the day to celebrate dark-skinned people and, a few weeks later, #reclaimthebindi also featured #UNFAIRANDLOVELY. “When we first did this,” Pax emphasised, “we weren’t looking to start a Twitter or social media campaign. That’s not what we were looking for. I just posted my photos on Tumblr. I wasn’t looking to pursue this, you know? I was just trying to share my work. And it became something.” Reflecting upon the misinformation that had followed the campaign, she added, “it’s hard to see what you produce go in various directions without having control over it.” There were a number of women who criticised black women for contributing to the hashtag, despite its origins. While the emphasis of the campaign is on colourism and celebrating dark-skinned people of colour, my conversation with Mirusha and Pax explored the origins of this discrimination. In addition, they described the challenges they faced once the hashtag took off. The most obvious are the Arab slave trade, the advance of Islam into Africa and the caste system in India. But how far colonialism contributed versus these answers is not entirely clear. And, in case it wasn’t clear, as Pax repeated towards the end of our conversation, #UNFAIRANDLOVELY is for all dark-skinned people of colour. Period. All photos by Pax Jones, featuring Mirusha and Yanusha Yogarajah. Get involved with gal-dem’s skin lightening series. Comment, tweet us at @galdemzine using the hashtag #skinlighteningseries, or email info@gal-dem.com if you would like to share your experience.